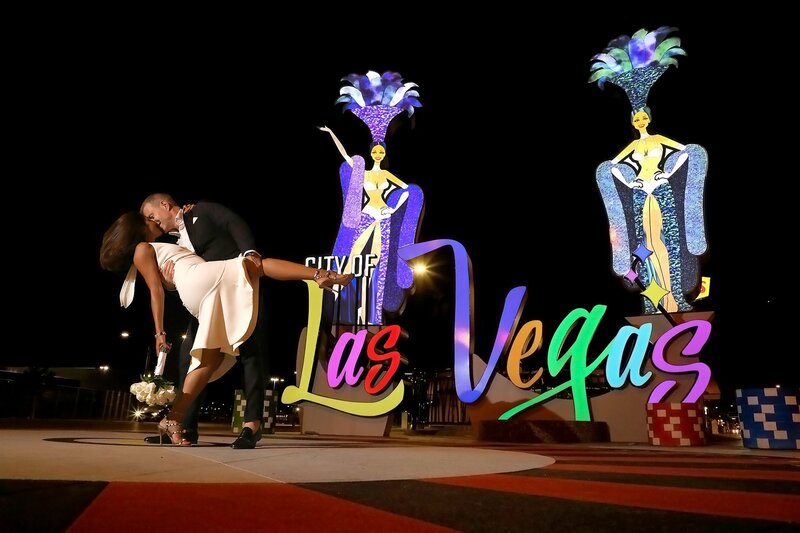 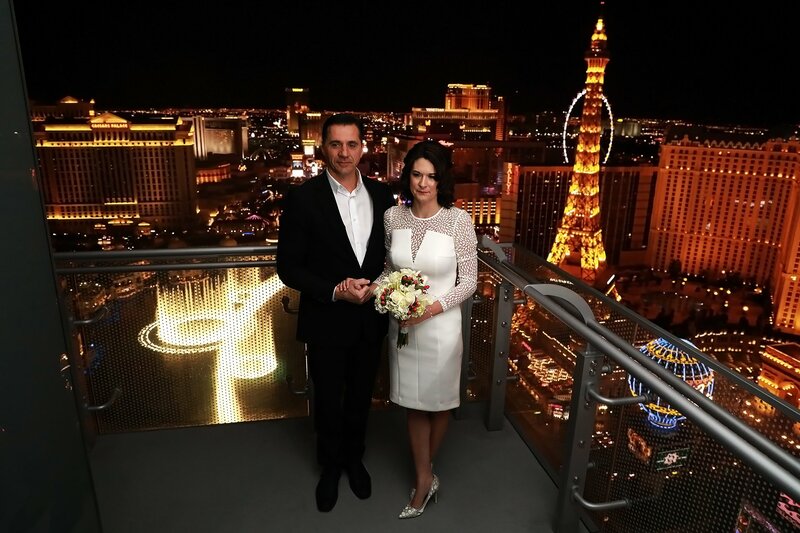 We can do Las Vegas Strip wedding packages at the most famous sign in the world, the Welcome to Fabulous Las Vegas, Nevada Sign or in your hotel room/suite/condo or in our Las Vegas Wedding Chapel. 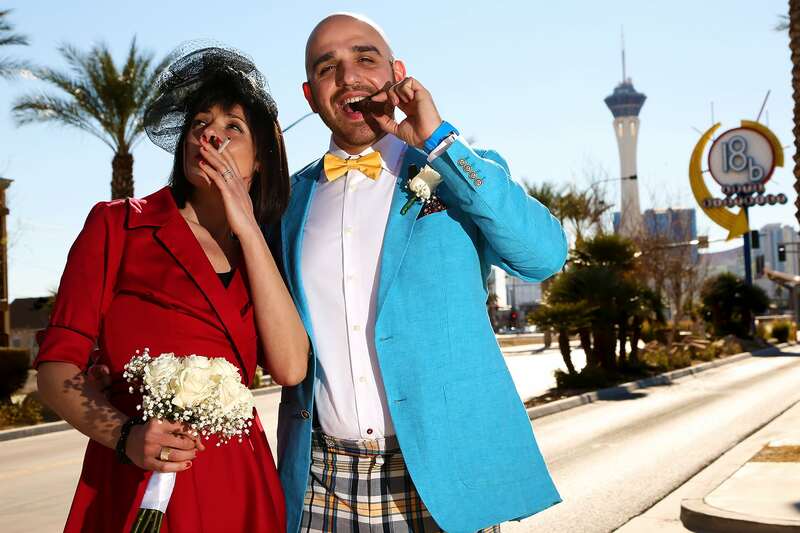 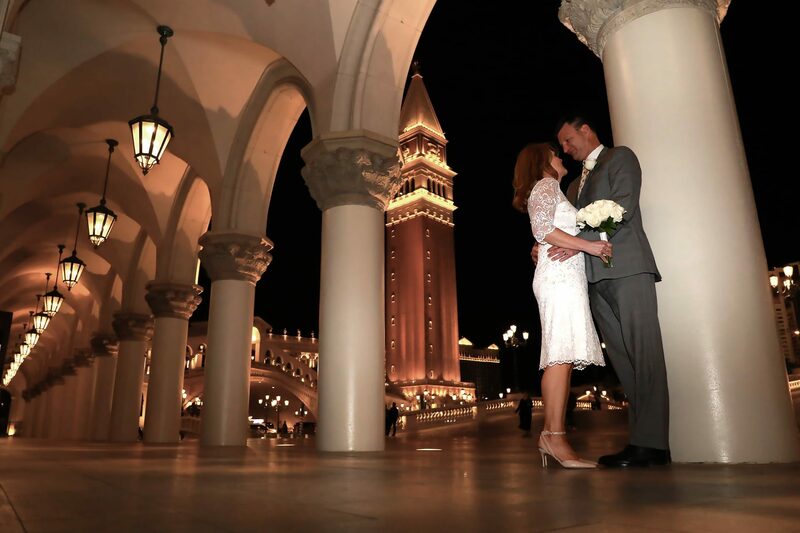 Please speak to one of our wedding coordinators for additional public places for your Las Vegas strip wedding suitable for you and your guests. 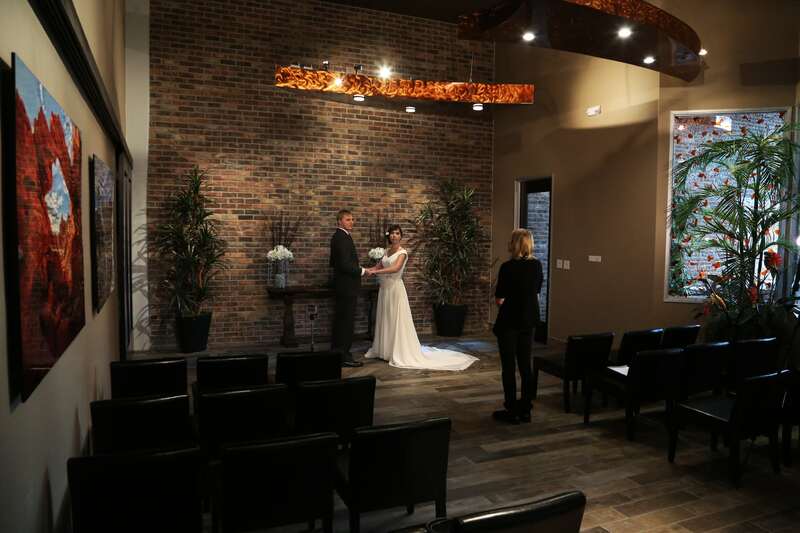 If you prefer a private location, you can have your wedding ceremony in your hotel room/suite or at our Las Vegas Wedding Chapel located in downtown Las Vegas! 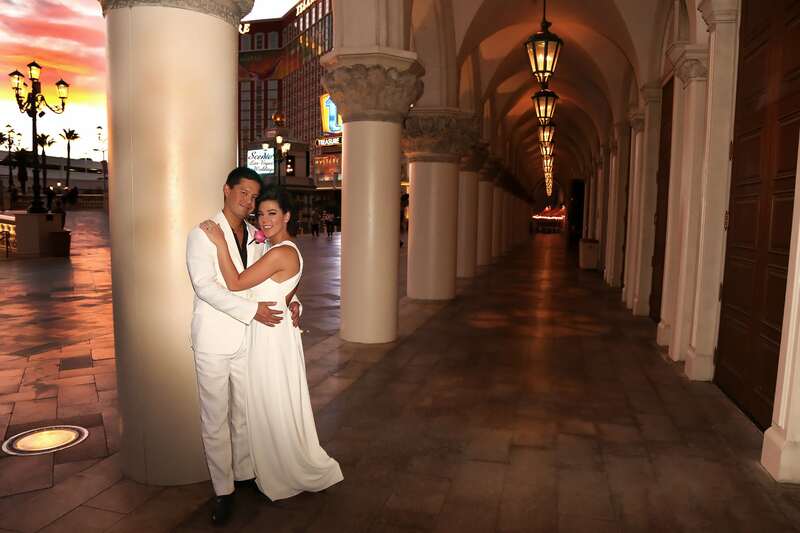 If you cannot decide on just one location, you can have pictures taken at multiple locations on the Las Vegas Strip. 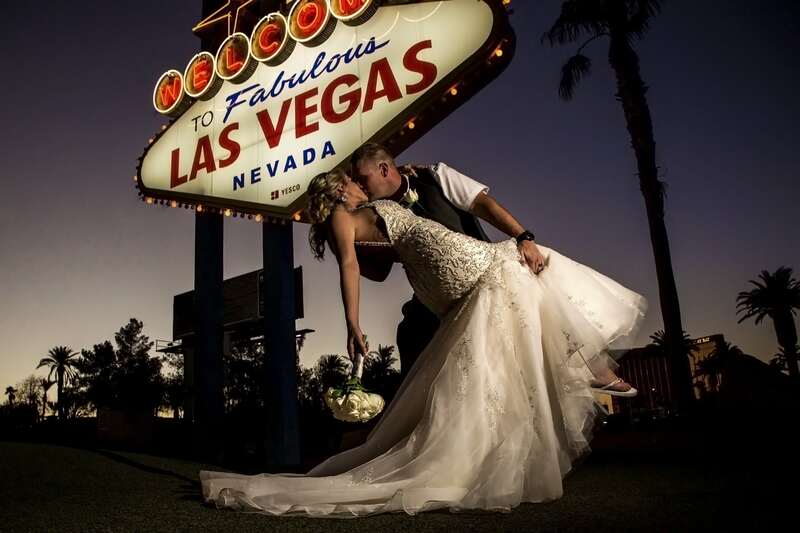 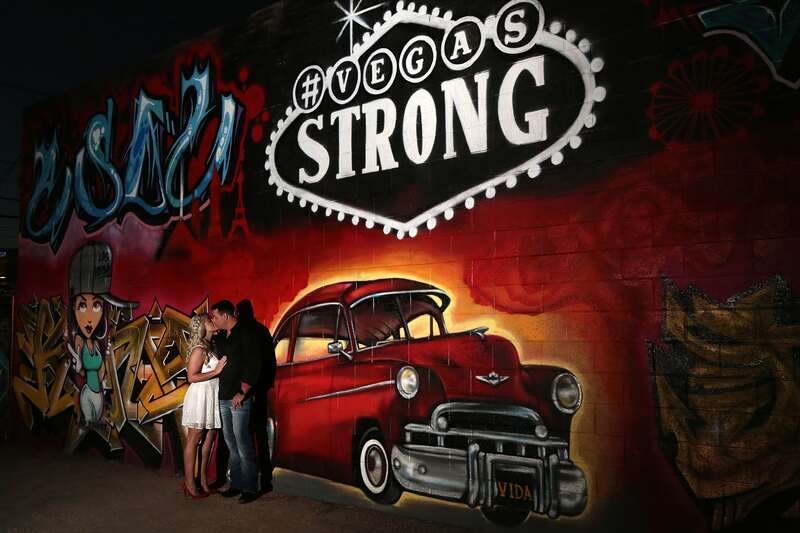 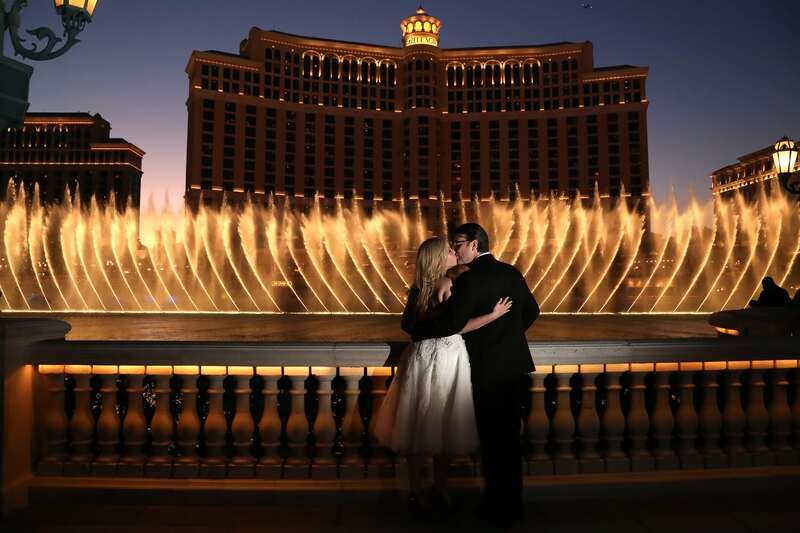 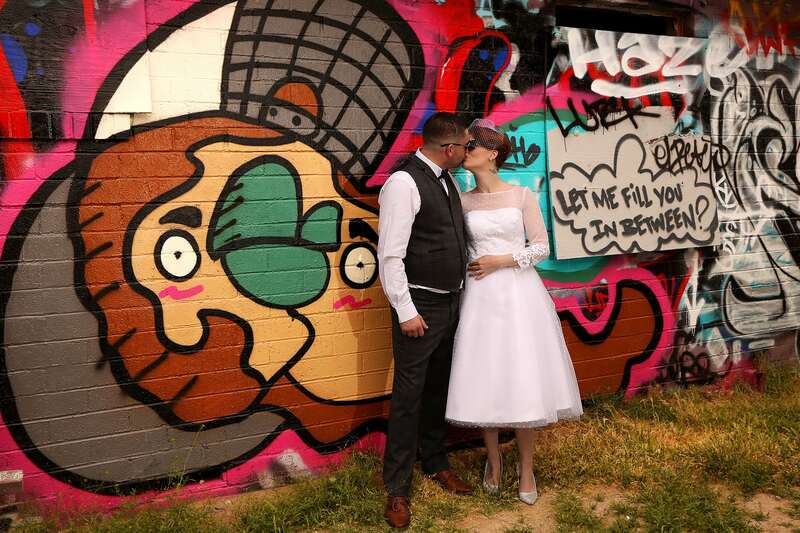 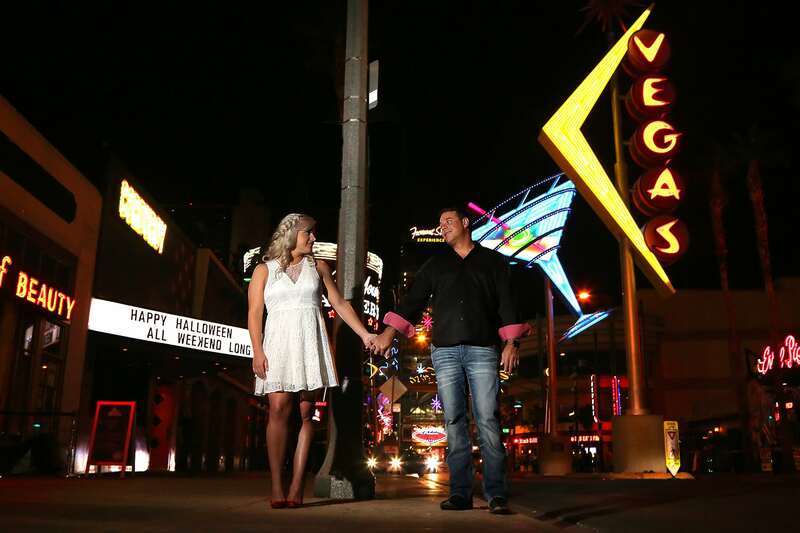 The Las Vegas Strip offers many photo opportunities for beautiful wedding photos. 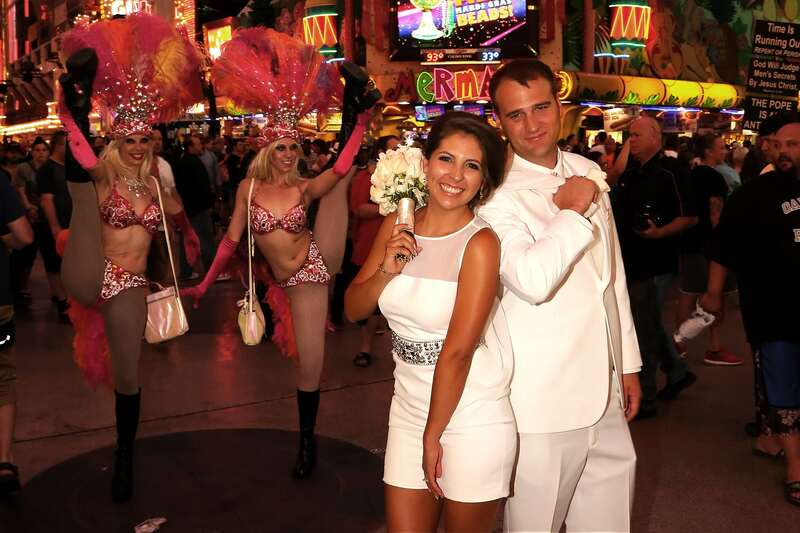 The Video option is not available at ALL Strip locations; please ask us where we can do video for you. 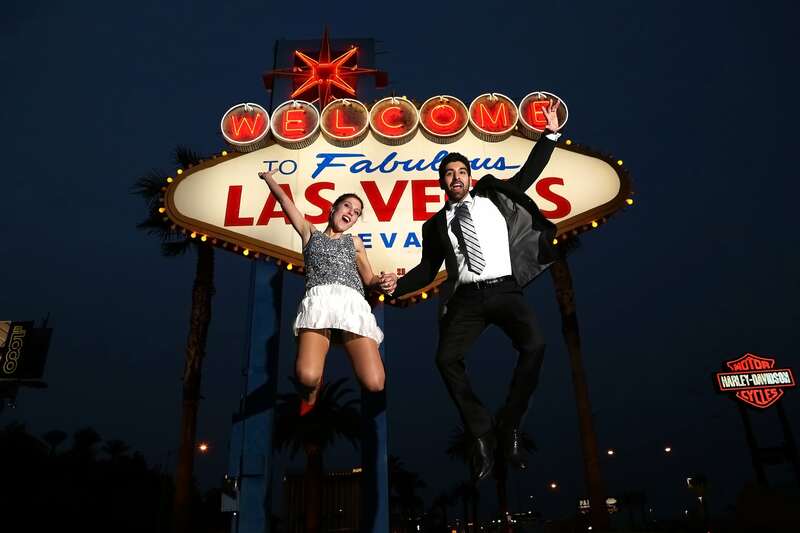 You will receive a minimum of 150 high resolution JPEG photos on a USB flash drive. 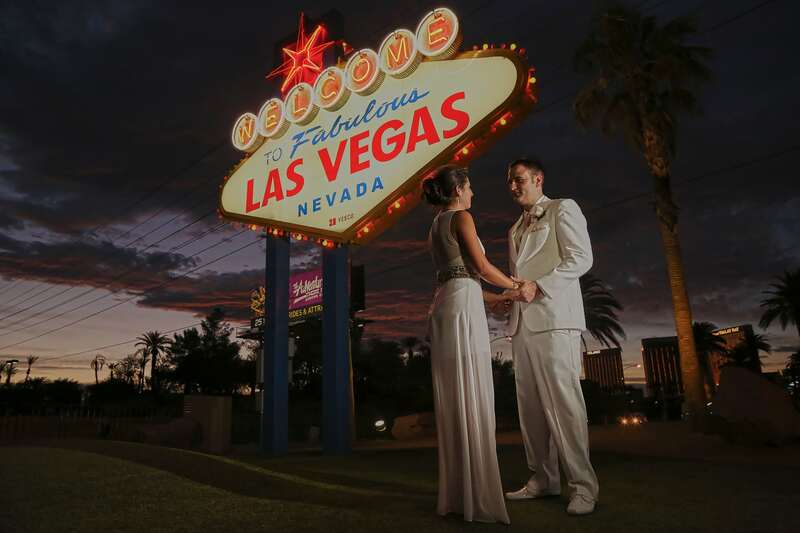 Any optional additions to your wedding package must be booked and paid for prior to your wedding. 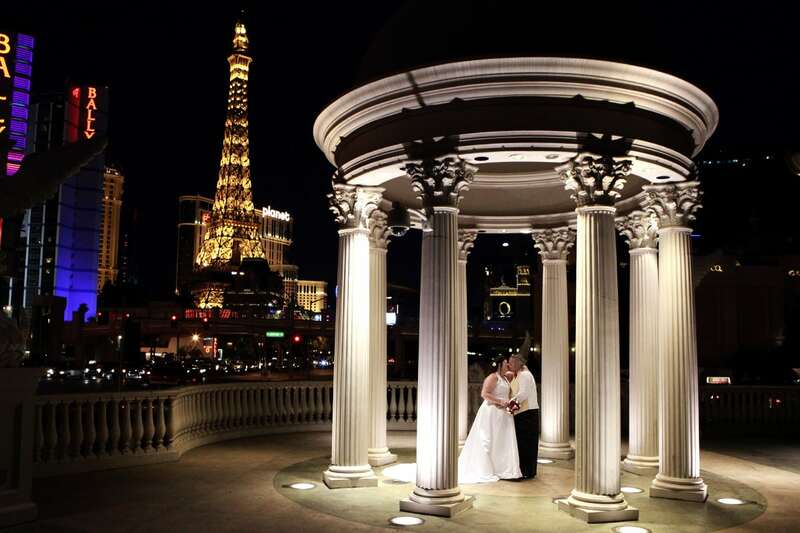 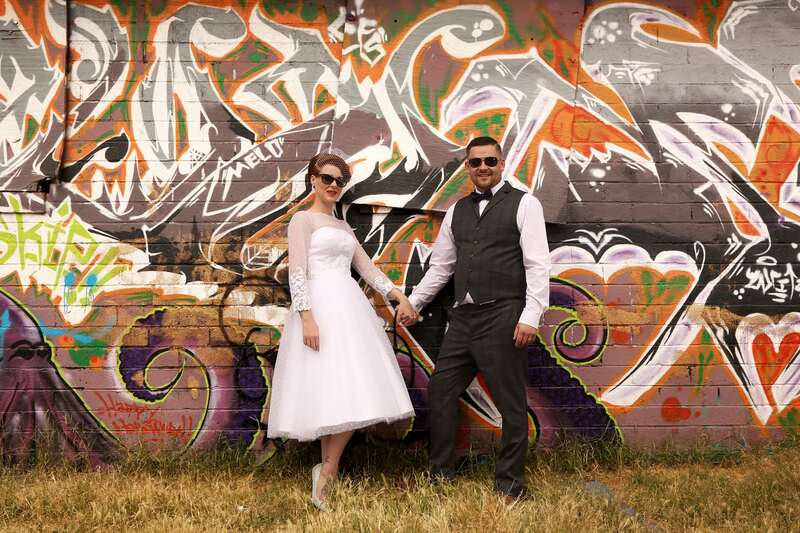 A location is defined as public areas in front of a casino/hotel, the Las Vegas Sign, or our Las Vegas Wedding Chapel. 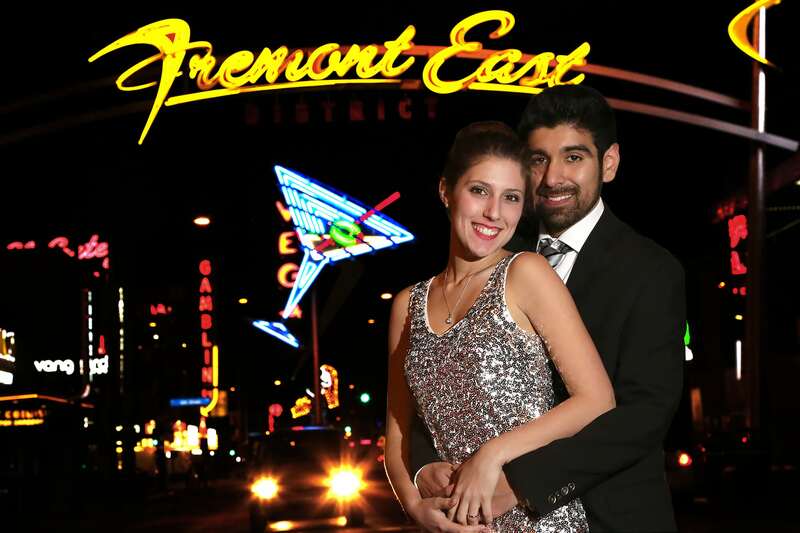 There is no guarantee that you will get all your locations if you are late or if you and/or your group is slow moving. 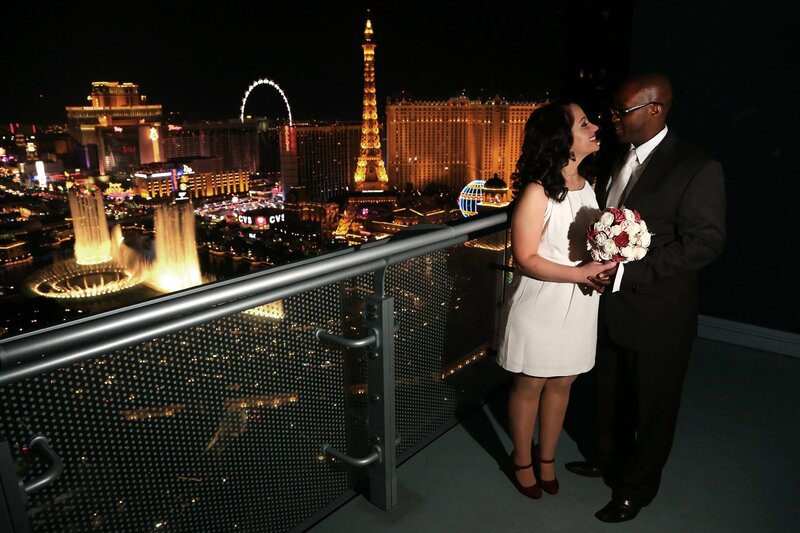 Hotels on the Las Vegas Strip with balconies: MGM Grand, MGM Signature, Cosmopolitan, Palazzo, Palms Place (you would need to book a room to do your wedding on a balcony). 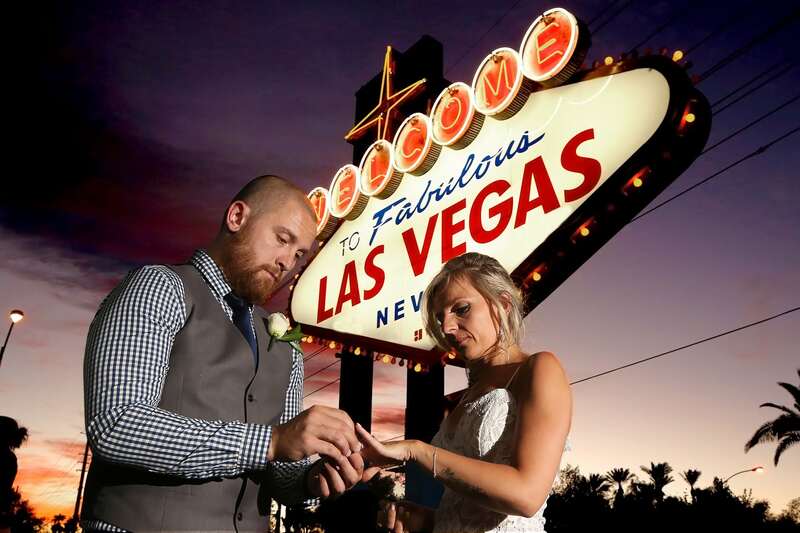 Music is not an option for your Las Vegas Strip Wedding unless it takes place in your hotel room/suite and you provide the music and music player or we will provide music upon advance request in our Las Vegas Wedding Chapel.